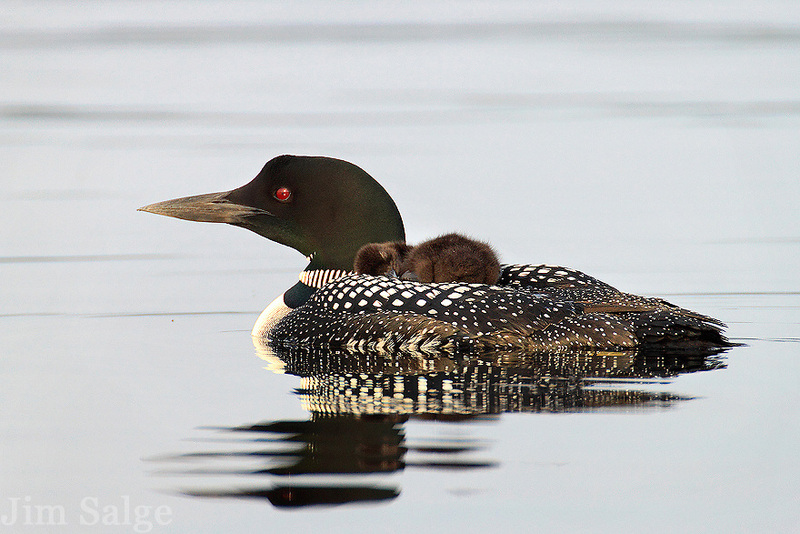 A baby loon takes a nap on its mother's back early in the morning. I had just watch both the mother and father feed the baby for about a half hour, and the baby took its first dive under water. All the activity must have worn it out! The nap lasted about fifteen minutes.